Happy New Year! Today I am taking a look back at our best moments of 2013. This year has been an incredible year for me and I am so grateful to all of my readers for helping to make my dream of starting this blog a reality. I remember my biggest fear when I started was that no one would read it, so thank you for being here and coming back time and time again! 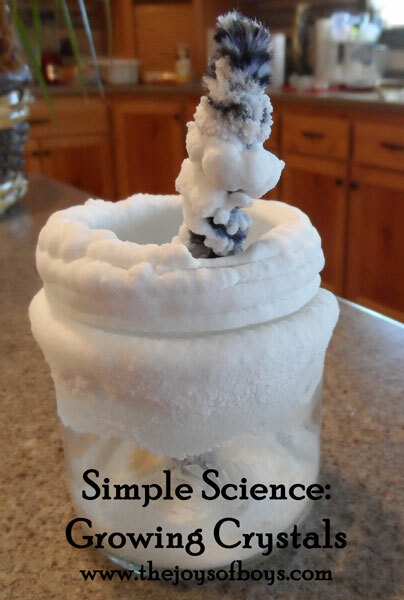 A simple science project that allows you to make crystals out of water and salt or sugar. My boys went through a stage where they were obsessed with Angry Birds. 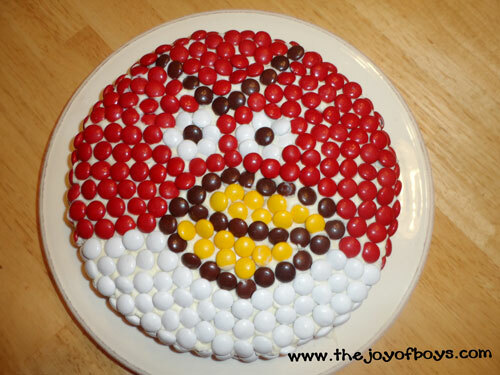 This was just one of the Angry Birds cakes we made. 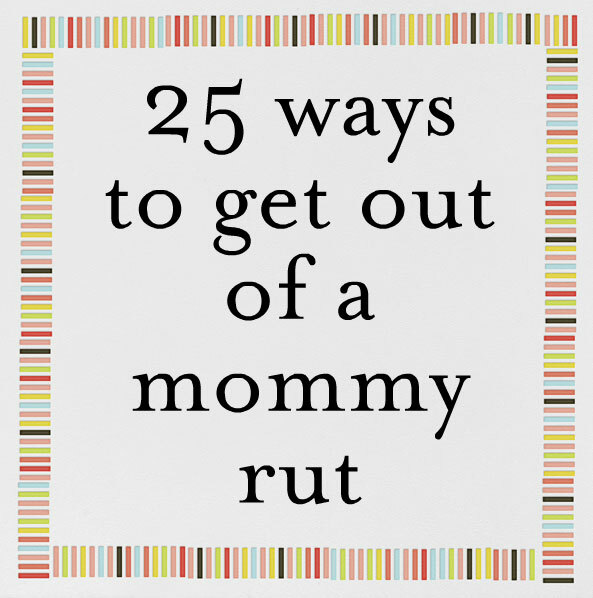 Feeling in a rut? Here are 25 simple things you can do to get back to feeling like you and to enjoy life more. These were so easy to make that I was actually surprised when they went huge on Pinterest. 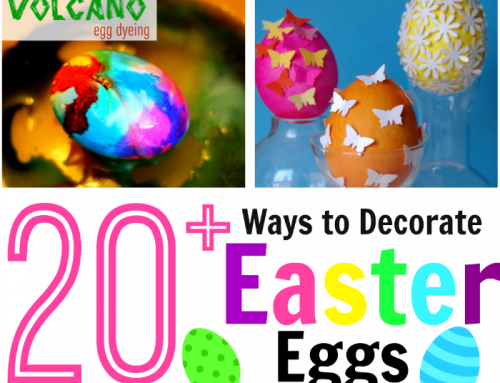 My boys loved these and they took just minutes to make. This was another post that surprised me. I put it together for a Christmas party we were going to and decided to throw it up on the blog and it went crazy. Now that Christmas is over, you’ll have to save this for next year. 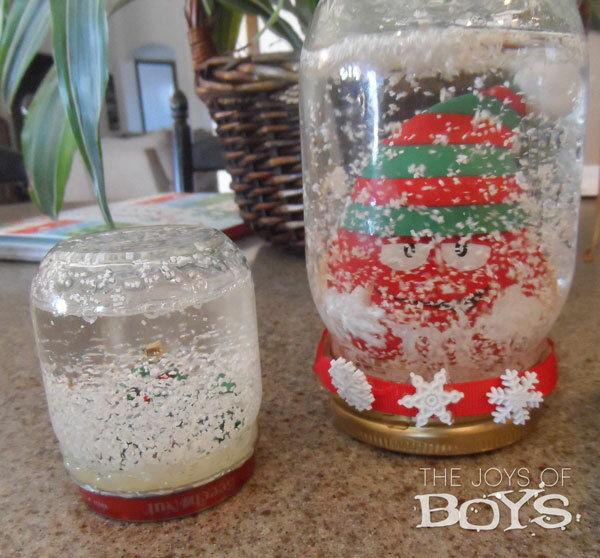 These snow globes were so simple to make and fun for kids to decorate themselves. 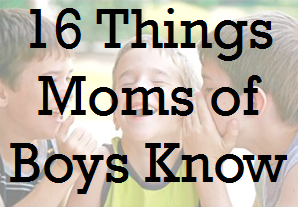 This was one of the very first posts we ever put up on the blog. I remember what a challenge it was for me to figure out all of the pictures. 🙂 I’ve come a long way since this post. 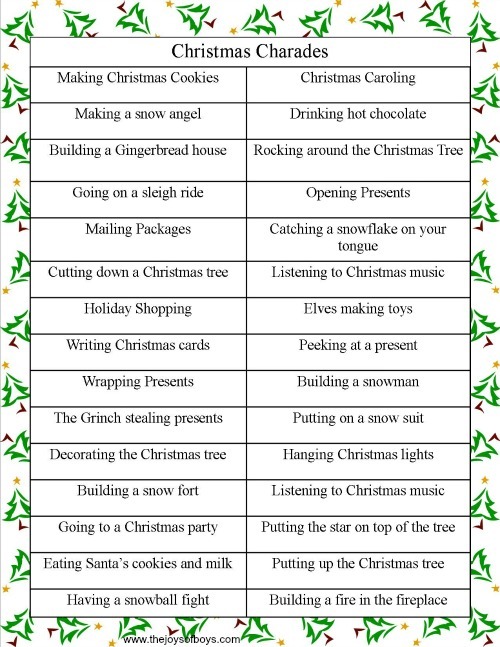 But, this continues to be a popular post and was even featured on Babble.com this year. Let me just say that I still can’t get over how cool these are! 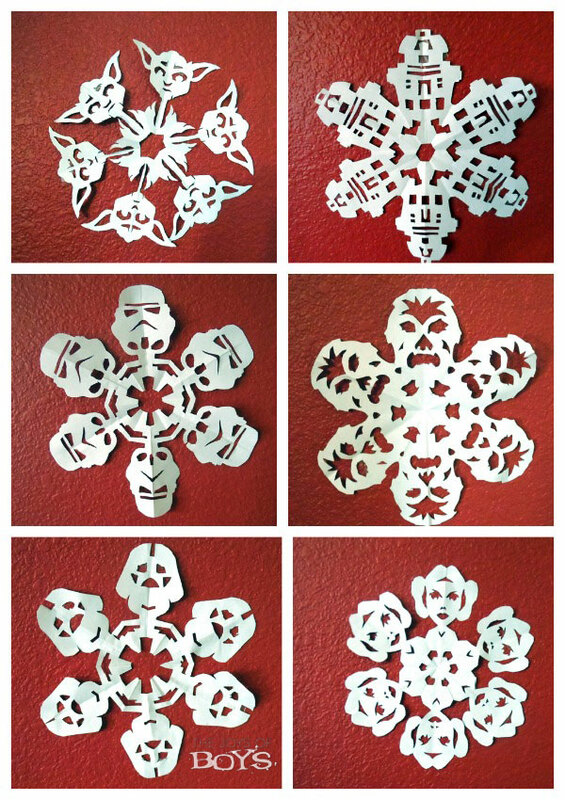 If you have Star Wars fans in your house, make sure to save this and make them next Christmas. They are so much fun! And the NUMBER ONE Post for 2013 AND 2012 is …. drum roll please….. This was the BEST. PARTY. EVER! 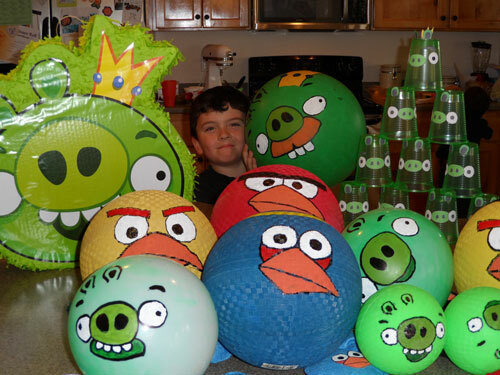 We had an amazing time with my son and his friends and this party included a life-sized Angry Birds slingshot and game, Angry Birds Pizzas, Playable Angry Birds Cake, Tons of Angry Birds Party Games and more. It was definitely fun to plan and fun to participate in. And there you have it! Our top 10 posts for 2013. Do you have a favorite post that wasn’t listed? I’d love to hear which one it was. 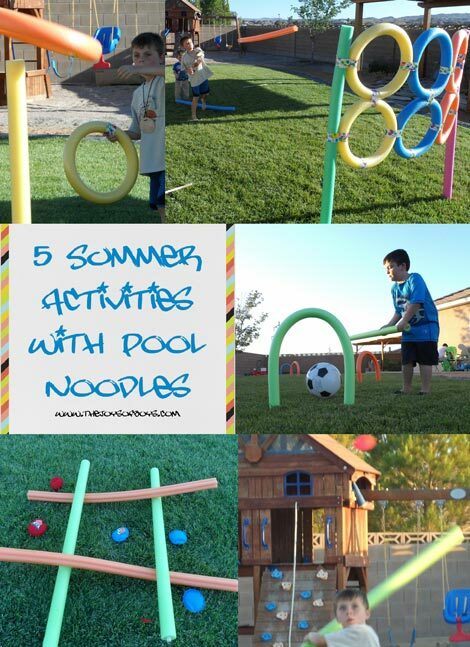 Also, some great things that happened on the blog this year were getting our Pool Noodle Goal Post featured at PBS Parents and our Gratitude Pumpkins featured on BabyZone. 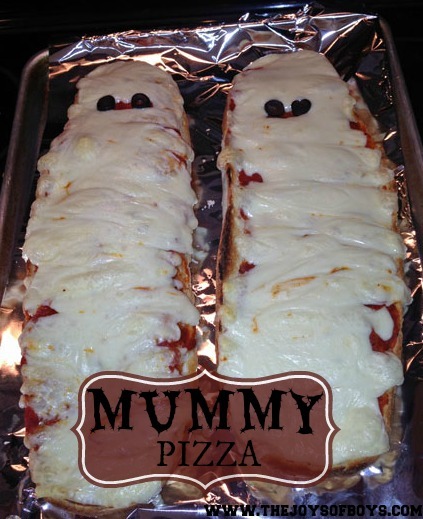 I also had several recipes and fun food ideas featured on numerous other blogs. I’ve been able to work with some amazing companies including OshKosh B’Gosh, Tyson, Sproutonline.com, NickMoms.com, Lionsgate Media, Fiskars, Odwalla, Cookie’s Kids, Wrangler and more to help bring you the best products as well as charitable causes to get involved in. And I have to give a quick shout-out to my Social Media followers who have joined us this year. I am thrilled to have you following along and supporting me. We have gone from 164 Facebook followers to 1575, 344 Pinterest followers to 4544 and 280 Twitter followers to 9,820!! That is amazing to me! If you aren’t following along on Social media, I’d love to connect. Just click on the links to each site. So it has been an eventful year! I am SO excited about 2014. 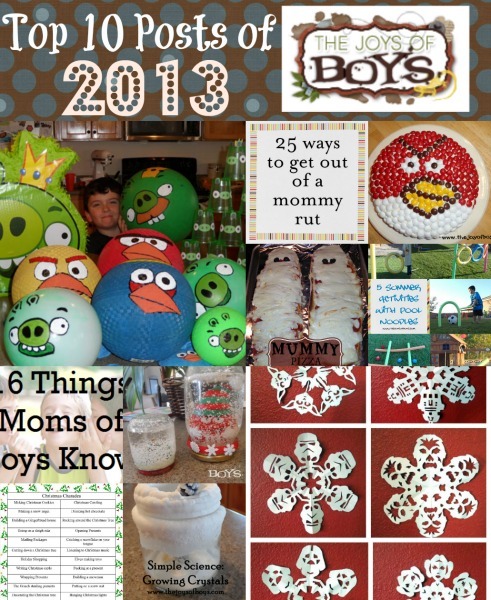 Some new things you will see include a new fun Link party where moms of boys from all over the world can share their ideas for raising boys, Friday features where I feature moms of boys and some of their crafts, parenting ideas, etc, and the use of video in my posts (Yes I’m scared!!) to help you see the “real” me and much, much more! For information on being featured on my site, shoot me an email or connect on social media. Thank you again for your support! I wouldn’t be here and blogging without you! I dont make it online often but this website is awesome. I have 2 little boys, 3 1/2 and 19 months.